Škoda presented the world premiere of the SUV Kamiq and the project of the electric crossover Vision iV at the Geneva Motor Show. Škoda Kamiq is the third and smalest SUV of the brand, built on the same basis as the Scala hatchback. The length is slightly over 4.2 meters, car trunk holds 400 liters of luggage. Its gasoline engines are also known from Škoda Scala, they have a capacity of 1.0 or 1.5 liters and power from 85 to 110 kilowatts, to choose will be 85 kilowatts diesel and later 1 liter 66kW engine of compressed natural gas and a 1 liter three-cylinder 70kW petrol version. Kamiq will be started selling in the second half of this year. The second major innovation of Škoda is the vision of the electric model with the designation Vision iV. This is a SUV-coupé study, which is a model of a serial car that will appear on the market in June next year. 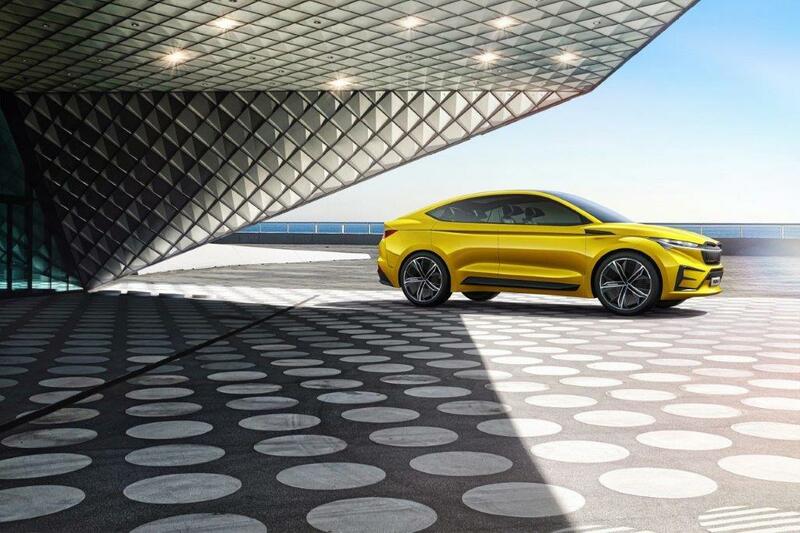 The car is built on a special MEB platform that is designed specially for electric cars, and Volkswagen plans to use it for an electric alternative to Golf in the form of an ID model. It will also be used by Seat and Audi. The size of the car is almost the same as of the Kodiaq model, with a pair of electric cars (one on each axle) with a total output of 225 kilowatts. Thanks to its high power, the car should accelerate from zero to 100 km/h in 5.9 seconds and from 80 km/h to 120 km/h - only four seconds. The range should be around 500 kilometers, and charging at 80 percent of the capacity should take only 30 minutes. Vision iV is also expected to have a high-speed Internet connection via a fifth-generation mobile network, as well as an autonomous level-three control that should allow the concept to drive on the highway itself. The ŠKODA SCALA also had its premiere in Geneva (the world premiere took place in Tel Aviv). As we have written before, this new car offers high functionality, modern connectivity, emotional design and a high level of active and passive safety. Newly, it defines the compact ŠKODA class. ŠKODA Motorsport in Switzerland also presented another evolution of the popular FABIA R5. KLEMENT ŠKODA study has demonstrated the innovative concept of urban mobility of the future, which is already being actively applied in Israel.